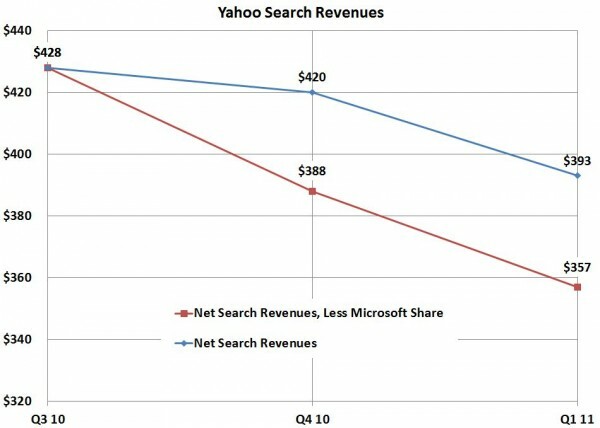 Yahoo had another lousy quarter. Revenues were down 6 percent, profits were down 28 percent. What’s more, it’s search partnership with Microsoft isn’t going so great. 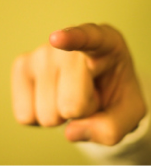 And the finger pointing is starting. Remember, handing over search to Microsoft was supposed to come with all sorts of benefits like lower costs and more money for Yahoo. On the downside, however, adCenter isn’t yet producing the RPS [revenue per search] we hoped for and are confident as possible. In other words, Microsoft is under-monetizing. And organic search results from Bing apparently are too good, which makes people click the paid search ads even less. 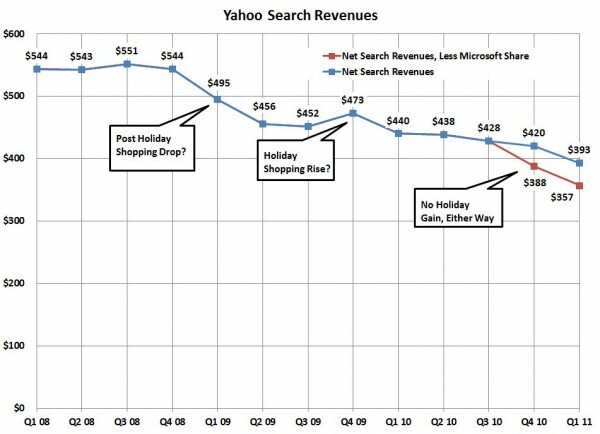 Even Yahoo’s inflated search market share figures (due to slideshows and other forced search methods) weren’t enough to generate more revenues.